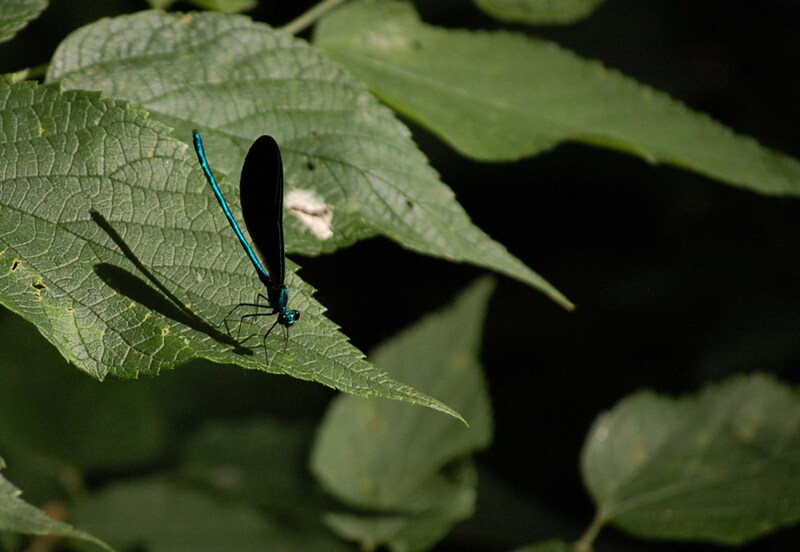 Emerald Jewelwing damselfly enjoys the benefits of urban land trusts. Site – A small urban lot bordered by homes and one city street in Columbia. The long irregular-shaped site is tucked into a residential corner and has a very small creek running through it. One boundary climbs a woodland hill, the other abutts the street. The land is primarily woodland and had a dense undergrowth of invasives at the time of acquisition. History – Neighbors and residents along the access street enjoyed this land for its unusual scenic and wildlife resource within an urban, residential neighborhood. These property owners purchased the land and then turned it over Greenbelt Land Trust of Mid-Missouri for stewardship and protection. A Greenbelt volunteer biologist making an inventory found 52 species of native plants in this small plot including Michigan Lily, Solomon’s Seal, Wild Sweet William, Dutchman’s Breeches, and Green Dragon. He noted the large amount of Bush Honeysuckle and Euonymus or wintercreeper which, once removed, would allow native species to fill in the area and to dominate again. 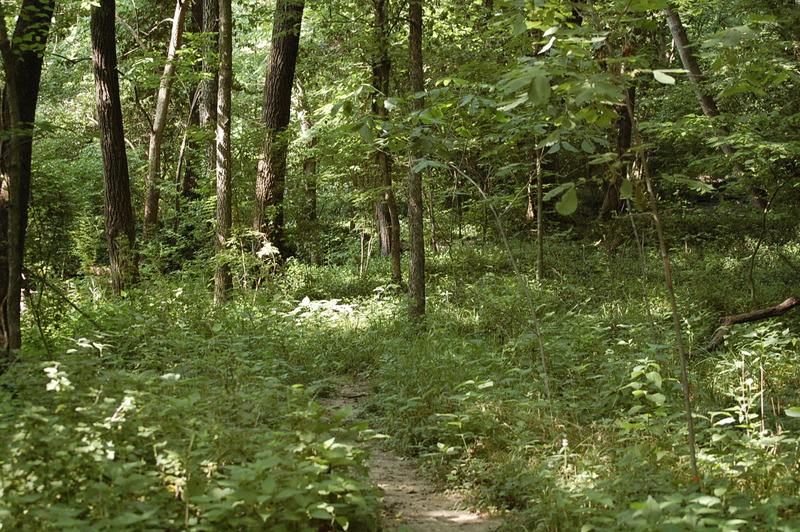 Activity – Spring Valley Nature Preserve enjoys the benefits of strong neighborhood involvement. Turn-out is good at regularly scheduled workdays. Following a successful opening up of the woodland area, Greenbelt Land Trust has planted native shrubs along the street border: ninebark, polemonium, celandine poppy, and St. John’s Wort along road.